MasterFILE Elite is a research database that provides full-text articles and reports from magazines, periodicals, and reference books covering a wide range of subjects. Articles can be printed and downloaded for later use, and citation information is listed if needed. Login with your library card here. Once logged in, use the search bar to find topics of interest. You can then finetune your search settings to only show full-text articles and to limit those results to recent publications. 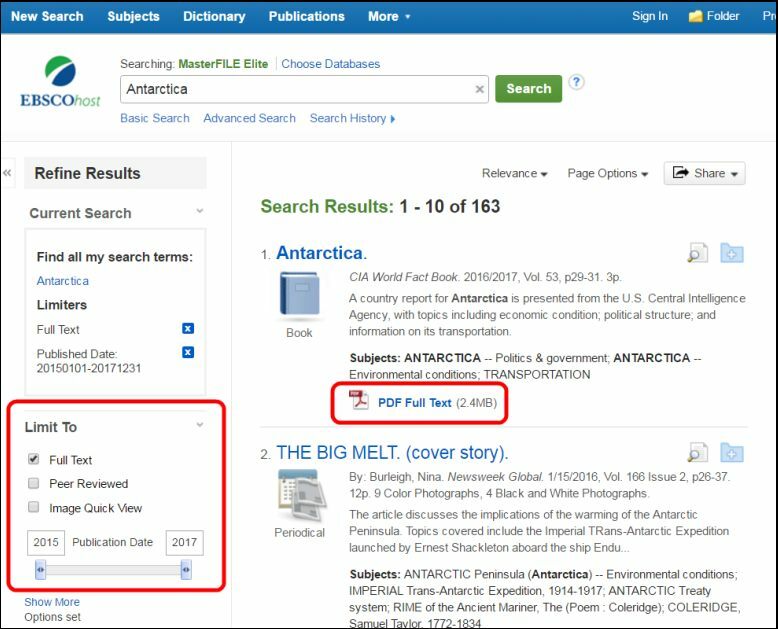 In the example below, we searched for information on Antarctica, then limited the results to only full-text articles from 2015 to 2017.